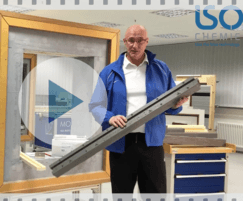 A range of training videos now available at foam tape producer ISO-CHEMIE’S web portal ISO-PORTAL, offer advice and tips on the effective sealing of window and door installations. 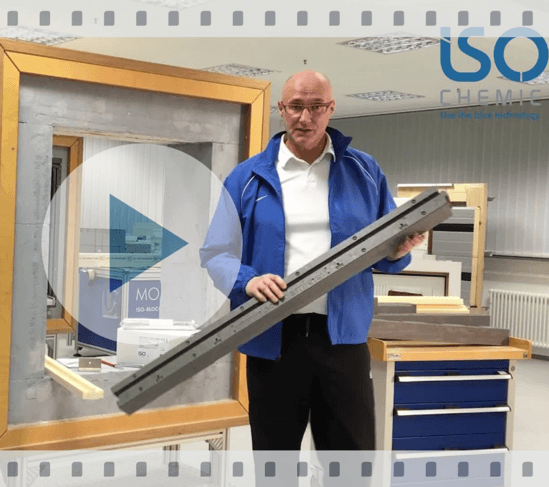 Featuring a selection of simple, easy-to-follow clips from the ISO-CHEMIE training centre, the videos provide fenstration contractors and specifiers with practical tips on the latest range of time and cost saving sealing tapes at the touch of a button. Covering tape related project services and highlighting special tools for ease of installation, the clips reveal the step-by-step techniques for using products such as ISO-BLOCO 600 foam tape for long term, high performance acoustic, temperature and weather sealing. ISO-PORTAL at www.iso-chemie.co.uk improves the support offered to customers and specifiers around the planning and management of building and developments. The UK web site also includes a free of charge direct link to the National Building Specification (NBS) clauses for UK architects. This offers instant access to a library of clauses that can be selected and downloaded to help prepare project specifications, helping architects and specifiers ensure that the correct products are chosen and are 'fit for purpose'. ISO-CHEMIE is one of Europe’s main producers of impregnated foam sealants, specialising in foam products manufactured from polyethylene (EPE), polypropylene (EPP) and polyurethane (PUR) using the latest production techniques.